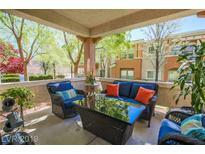 Below you can view all the condos for sale in the Amber Ridge subdivision located in Las Vegas Nevada. Listings in Amber Ridge are updated daily from data we receive from the Las Vegas multiple listing service. To learn more about any of these condos or to receive custom notifications when a new property is listed for sale in Amber Ridge, give us a call at 702-930-8014. Amazing opportunity for a Large 2 Bedroom in the Heart of Summerlin nearby Pavillion Center, short drive to Downtown Summerlin featuring Laminate/Tile flooring, Fireplace, Open Floorplan, Large Kitchen with Corian counters, Stainless aplliances, Huge Master Suite with Separate Tub/Shower, Walk in closet in a gated community with pool and balcony overlooking Paseo with Mountain Views MLS#2088746. Simply Vegas. Just In Time For Fun Summer Living. MLS#2086926. Platinum R.E. Professionals. This property won't last long! 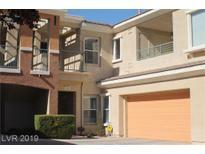 MLS#2080498. Realty ONE Group, Inc.
Great Summerlin location close to downtown Summerlin, City Nat'l Arena & Baseball Field! 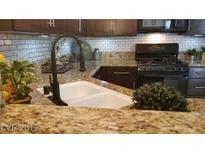 MLS#2057908. Realty ONE Group, Inc.